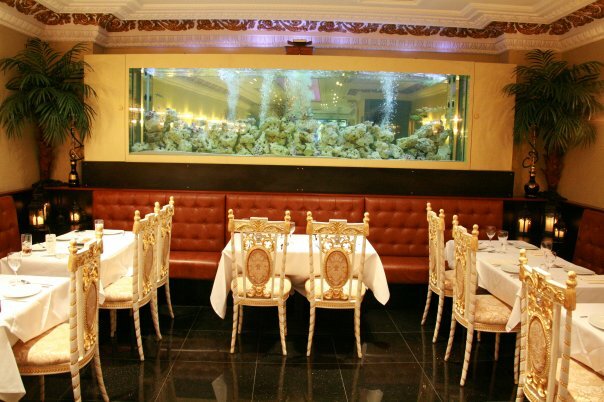 A large bespoke restaurant aquarium in London. This aquarium was built on site as it is over 4 metres long and 110cm high, weighing over 1000 kilograms. Our client wanted to cover most of the length of the end wall of his restaurant with the aquarium which holds over 2000 litres of water, the total weight, including rocks etc being in the region of 3.2 metric tonnes. This aquarium was set up as a tropical freshwater system due to the lack of space for a marine filtration system.